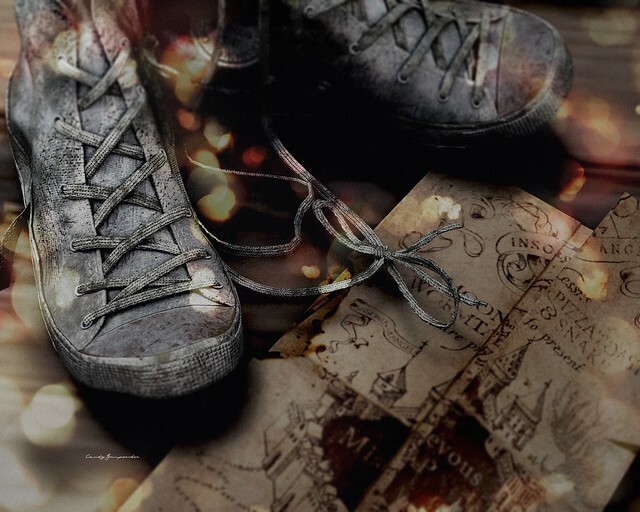 “Ｉ ｓｏｌｅｍｎｌｙ ｓｗｅａｒ ｔｈａｔ Ｉ＇ｍ ｕｐ ｔｏ ｎｏ ｇｏｏｄ" from Autumn Rose (who signs her images with her SL name, Candy Gunpowder) is a creative homage to Harry Potter’s Marauder’s Map. How appropriate that her blog is called Her Wild Free Heart. She tells an entire story with just two items, worn out shoes and a map. A bokeh overlay add a bit of fantastical whimsy. I love “Once Upon a Midnight Dreary” as well. Again, just a few pieces set a scene. I am not certain a raven will visit her table, but if one did, it would fit right in. 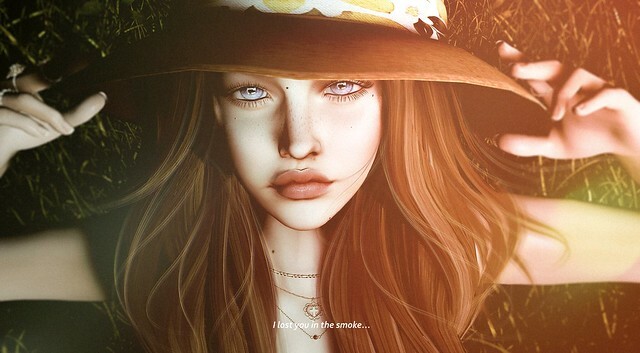 “Circles” has that casual, taken at the spur of the moment feeling that takes so much hard work to achieve in SL. Her fingers are positioned carefully. That wash of sunlight requires projectors or a gradient overlay. Yet, for all the effort it requires, it does not show. Instead, it seems spontaneous and easy. 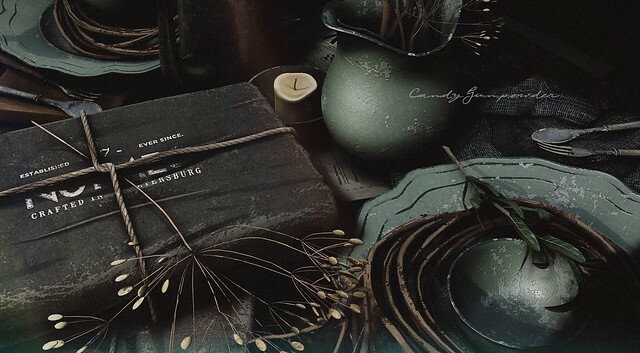 Candy Gunpowder’s photostream is a an interesting combination of blog photos that combine fashion and decor to tell stories without words.